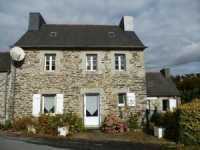 Very attractive longère in a nice hamlet with garden and stone shed, close to Huelgoat! 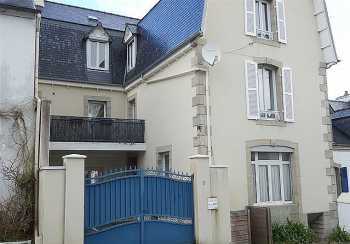 This is a lovely property, the house is in excellent condition and the garden in the front is pretty and easy to maintain with a parking area. 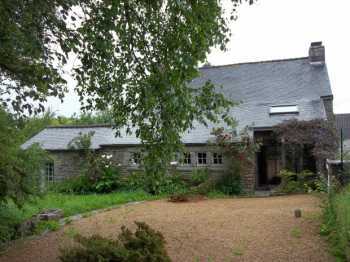 Superb renovated barn with half an acre of land close to the Canal! 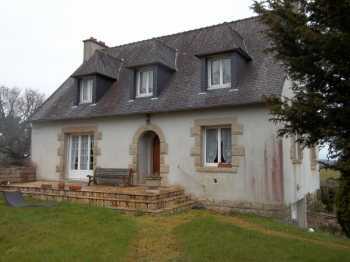 This is a splendid property, the house is immaculate, excellent renovation, high quality work and materials. 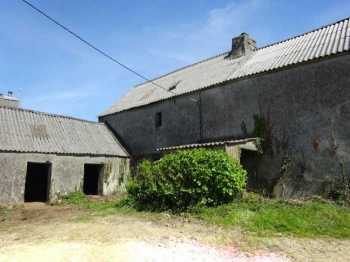 At the heart of a hamlet, this old house built in 1850 needs complete restoration. It offers 112 m² of living space. On the ground floor 2 rooms, 1 with fireplace. 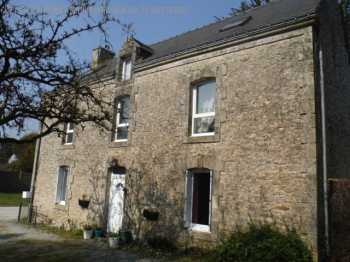 A beautiful mill with outbuildings and 3 hectares (ca. 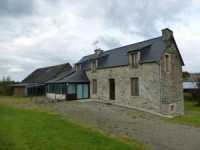 7.5 acres) of land in the Regional Park!This property is on its own, no neighbours too close, in a lovely spot, the mill is surrounded by the 3 hectares of fields and a stream. 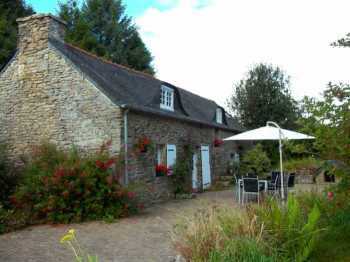 Large Neo-Bretonne at the edge of a village with 2,500m² of building plot! 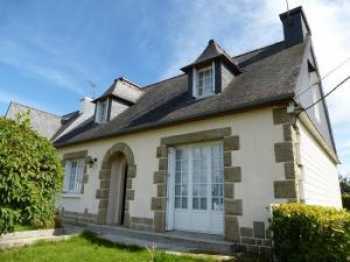 This nice property is located on the outskirts of a nice village, walking distance to the shops, in a cul de sac with lovely views. 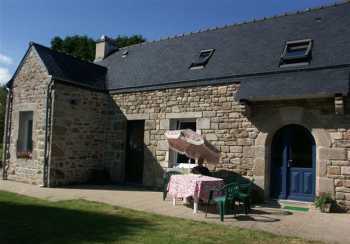 In the heart of a large hamlet, just 10mns drive from the popular town of Pontivy you will find this property which offers a main two bedroom house, an adjoining 5 bedroom gîte, ¼ an acre of garden with swimming pool. 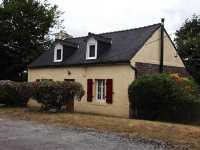 This property is located in walking distance to the center of the village, it is in good condition, a solid house, habitable as it is, it just needs some modernizing work inside. 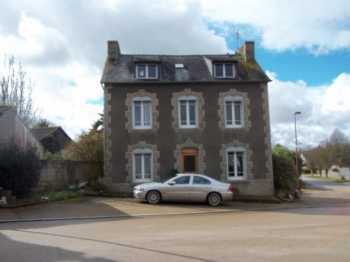 This lovely house is located in a nice little village and offers good potential. All the hard work has been done, it is only some cosmetic work to finish in the main house and in the extension there is some DIY work to be done. 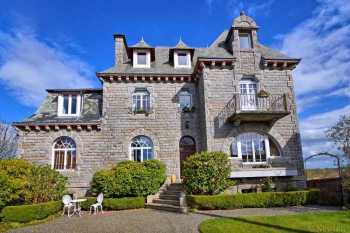 Within this coastal community, this beautiful building from 1905 offers a very spacious 214 sqm of living space. 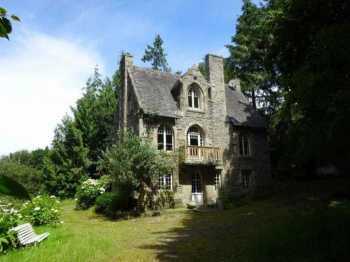 Plenty of charm for this handsome house built in 1900 Near to Morlaix. 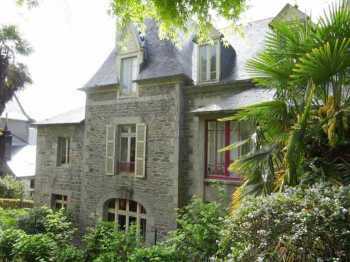 This villa in sits amidst its own beautiful wooded land of just over 1 hectare. 6km from the coast. 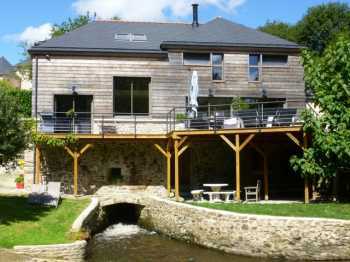 A former paper mill which has been renovated, but still containing the works of the former mill, plus a traditional stone country property. 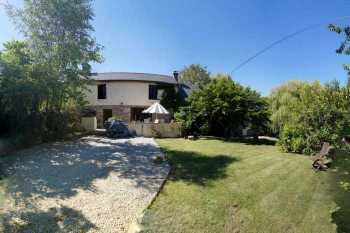 This is a stunning property with land, river and tranquility which has been renovated to a high standard. 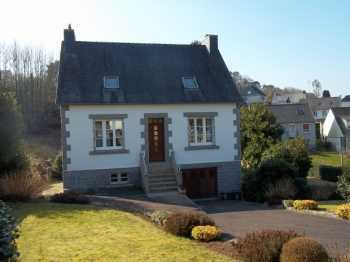 At the end of a lane, with a nice view of the surrounding countryside, this property of 2 houses fully renovated in 1999-2000. 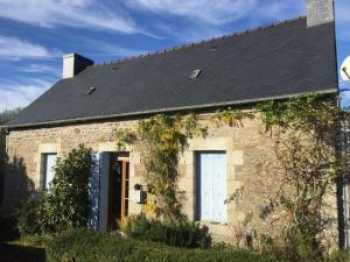 AHIB-1-JM638 Corlay 22320 3/4 bedroomed house with 500m2 garden by pond! 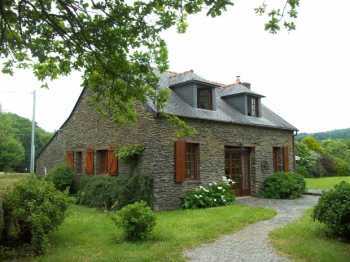 A unique property that will inevitably attract fishing enthusiasts and nature!